InSight, the first mission to study the deep interior of Mars, blasted off from Vandenberg Air Force Base in Central California on May 5, 2018. It has been an uneventful flight to Mars, and engineers like it that way. 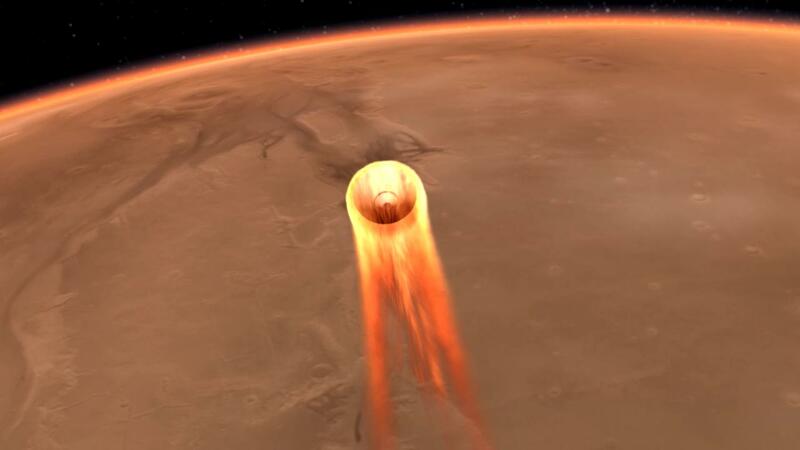 They will get plenty of excitement when InSight hits the top of the Martian atmosphere at 12,300 mph (19,800 kph) and slows down to 5 mph (8 kph) – about human jogging speed – before its three legs touch down on Martian soil. That extreme deceleration has to happen in just under seven minutes. If all goes well, the MarCOs may take a few seconds to receive and format the data before sending it back to Earth at the speed of light. This would mean engineers at JPL and another team at Lockheed Martin Space in Denver would be able to tell what the lander did during EDL approximately eight minutes after InSight completes its activities. Without MarCO, InSight’s team would need to wait several hours for engineering data to return via the primary communications pathways – relays through NASA’s Mars Reconnaissance Orbiter and Mars Odyssey orbiter.